In order to fully optimise and unlock the full potential of professional women who are planning to return to the workforce, the government recognises and wishes to further encourage the efforts of companies who hire and retain returning women. Successful recruitment and retention of women returnees for more than 6 months. 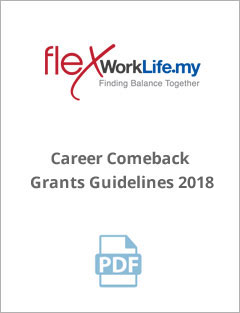 The grant amount is equivalent to returnee's one month salary. 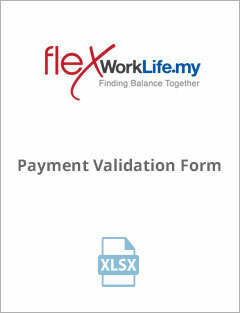 The grant is up to a maximum of RM100,000. Women returnee(s) must be hired between 1 January 2018 - 31 December 2018. 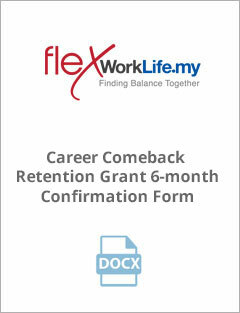 If you would like résumés of Career Comeback candidates, please e-mail us. Implement or enhance a programme or campaign to recruit women returnees. 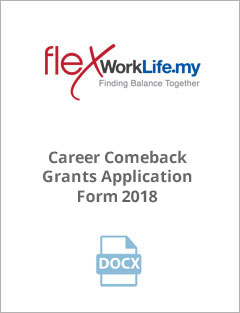 The grant offers co-funding of 75% of the cost incurred to run the programme up to a maximum of RM100,000. Start date of programme must be between 1 January 2018 - 31 December 2018.